Warning: this blog contains spoilers. If you haven’t seen the series finale yet, I highly recommend it, even if it’s not normally your cup of tea, as there is some genuinely exciting robot fighting action. Congratulations go to team Eruption for winning a close-fought final. 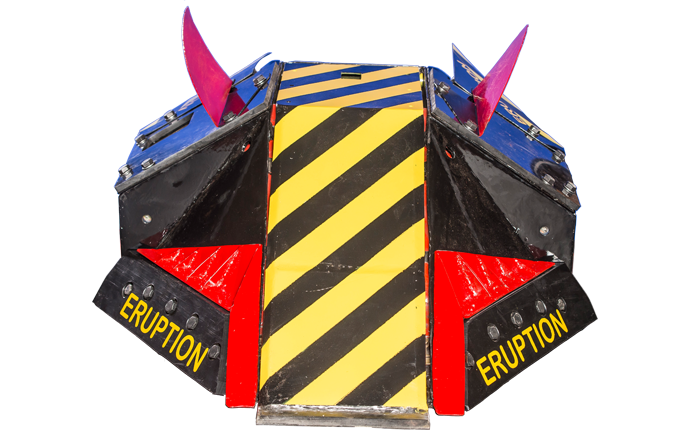 Not only did Eruption defeat the reigning champion Carbide in the final battle, but it also won through via the 10-robot rumble, beating nine other competitors in a ‘second place play-off’ on the way to taking a place in the final rounds. Robot Wars is an interesting show for me, both as a fan, and as an academic. I’ve been following it from its inception and the pilot series with Jeremy Clarkson as host, followed by the ‘golden years’ with Craig Charles and Philippa Forrester. The return of the series in 2016 has been great from a fan’s perspective as it’s brought Robot Wars to a whole new audience and has helped to bring to light some quite stunning robots. 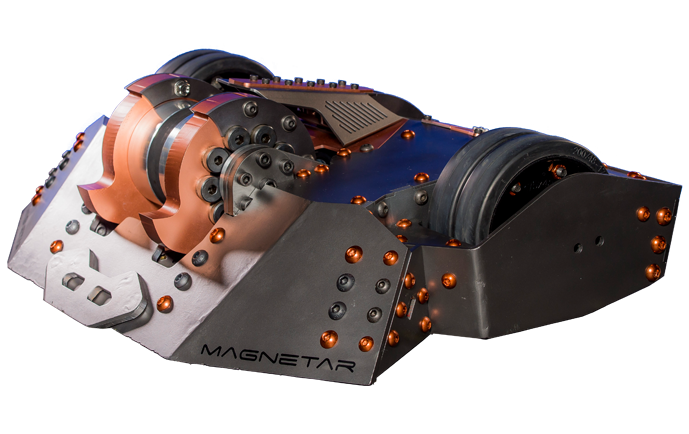 Indeed, Magnetar may well be one of the most ‘beautiful’ robots I think I’ve ever seen – alongside gold-chrome Rapid, another outstanding machine. Yet somewhat surprisingly, neither Magnetar nor Rapid won the competition. Rather, it was the tenacious and well-driven Eruption, a perennial finalist, that came through and took home the prize. This, despite the thousands of pounds and thousands of hours spent on the likes of Magnetar and Rapid that unfortunately came to nought in the final battles. So why is this, and what does it tell us about design trends? What might it also tell us about technology in modern warfare? 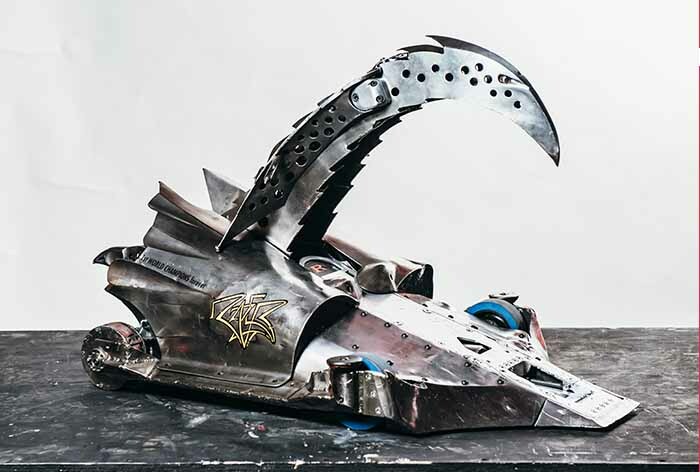 There have been several major design philosophies to appear in Robot Wars over the years. The first, and most significant, was the flipper, which came to dominate for several years before competitors responded accordingly and started to build robots that could either drive upside down, or that could ‘self-right’ to get out of trouble. There has also been a fairly consistent undercurrent of axes and pneumatic hammer type devices designed to inflict damage from above. While Thor and Terrorhurtz did well to make it to the final of this year’s competition, I’m still yet to see axe-type weapons do any kind of serious damage. These days they feel especially antiquated when faced with the latest design trend of kinetic energy spinners, and the sleek, low-to-the-ground machines such as Magnetar that most axes simply can’t even hit. A word should go to ‘crushers’ and other similar weapons at this point which, like axes, seem an ever-present trend in Robot Wars. While Razer remains the ultimate example of the crusher – perhaps the greatest machine in Robot Wars history – no other crusher has ever come close. This year in particular, the crushers or ‘grabbers’ have been particularly woeful as they rarely do sufficient damage, and are just too slow when faced with explosive flippers and high damage spinners. Compared to some of the high-end machines like Magnetar and Rapid, Eruption (without meaning to cause any offence) is built more along the ‘Brunelian’ line of engineering when compared to the smaller, sleeker machines that are almost over-designed to do what is in actual fact quite a simple job. When they work, they work incredibly well. But when they don’t work, even the slightest issue can lead to defeat. Let us not forget that most of Brunel’s bridges are still standing. Sure, they may not be pretty, or amazing examples of modern architecture, but they have a single job, and they do that job very well. If they go wrong, they are easily repaired, and they don’t require a great deal of expense. Nor can I imagine that they require quite the same level of expertise to repair should the need so arise. There is then perhaps a lesson to be learnt here when it comes to military technology and the application of force to the modern battlefield. Certainly the high-tech, light-weight kit is all well and good, but in some instances, the over-design and over-complication of certain technologies can be a hindrance when faced with the multitude of situations that a soldier might face on the modern-day battlefield. Sometimes the simplest solutions really are the best. Reliability still key. It doesn’t matter how good the weapon, or how sleek the design, if the robot fails, the battle is lost. And this isn’t just isolated to a single battle, but rather a series of battles in close proximity to each other. If you can’t repair your machine and get it back out on the battlefield in good time, then the war is lost. Driver skill trumps robot tech. If Eruption’s win goes to show anything, it’s that careful planning, a good driver and a responsive robot can far out-perform robots that are far more technologically advanced. This goes to show that the ‘human factor’ is still perhaps one of the most important (and underrated) factors in modern Robot Wars. Maximum power does not equate to ‘maximum win’. 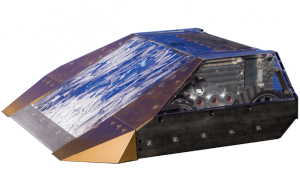 Rapid has been described as perhaps the most expensive robot in Robot Wars history – a flipper robot ‘turned up to 10’. And yet for all of its fantastic performances, Rapid didn’t last the distance. In fact, as soon as it was overwhelmed by Carbide, it burst into flames. Eruption on the other hand, weathered the storm and defeated Carbide with a far more reliable, far more resilient machine controlled by a better driver. This goes to show that turning your technology up to maximum doesn’t necessarily equate to turning your robot up to ‘maximum win’. Stretch the rules to the max. Some of the robots in this series didn’t use their whole weight allowance, and it really showed. If the rules say your machine can weigh X Kg, then rest assured that all of your opponents can and will use up their entire weight allowance, giving them a distinct advantage in terms of either armour, weaponry or sheer grunt. Though the latest series of Robot Wars has been by far one of the best I have seen, it does pose some questions. Aside from the observations I have list above, the final and perhaps most important for me is that despite the series name – ‘Robot Wars’ – the robots we are seeing are still very much built as human-driven machines. There is little in the way of real computer mediation, and they essentially function as armoured versions of toy remote control cars. 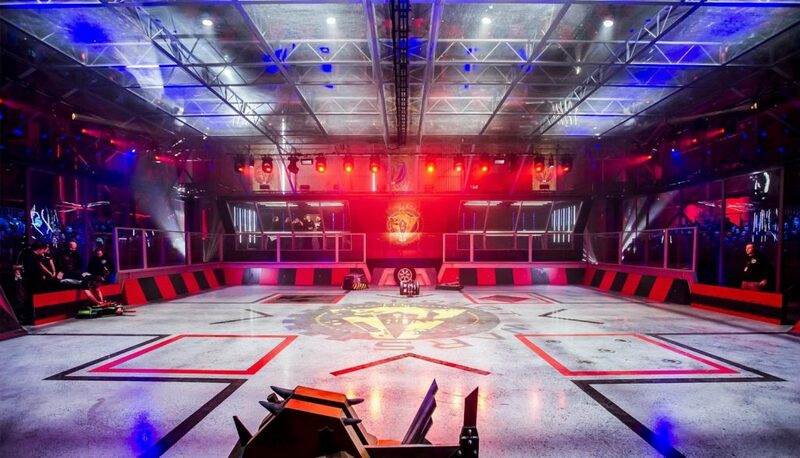 For the series to be truly worthy of its name Robot Wars, I would hope and expect in the coming years that competitors look at ways they can use real-time data from the robots to directly influence the course of a battle. While the introduction of the new ‘fog of war’ pit hazard has certainly gone to introduce a new dimension to the robot battles, it would be interesting to see how robot designs work around this. Is there a need perhaps for some degree of robot autonomy? Can robots be built to include some fail-safe functions for example, that revert weapons to auto-fire if remote connection is lost? Or how about ‘kill cams’ such as we have already seen featured on some of the house robots? Clearly cost, and development time are two massive factors restricting competitors, however I was pleased to see some of the roboteers ‘downloading’ information from their robots onto a tablet, and can only hope that this trend continues. I am extremely interested to see where this innovation may take us in the future.